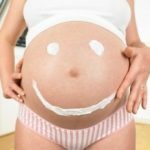 What is Wondermum & Birth Pool Hire NZ and what can you﻿ offer me as an expectant or new mother?? NEW!!! Pregnancy Belly Support, Postnatal Belly Binding Wraps and Postnatal Hip Reduction/Support available soon. What are the benefits of Belly Binding?